Is it possible to write a sidesplitting novel about the breakup of the perfect marriage? If the writer is Nora Ephron, the answer is a resounding yes. The creator of Sleepless in Seattle reminds us that comedy depends on anguish as surely as a proper gravy depends on flour and butter. 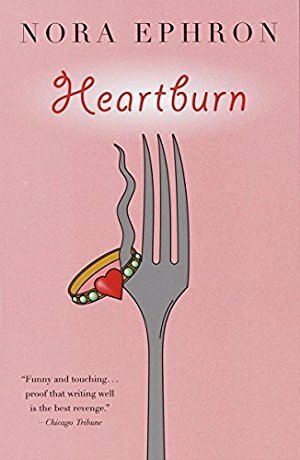 Seven months into her pregnancy, Rachel Samstat discovers that her husband, Mark, is in love with another woman. Audie Award Finalist. 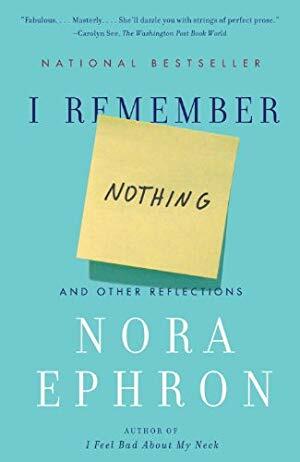 From the publisher: "Nora Ephron returns, taking a cool, hard, hilarious look at the past, the present, and the future, bemoaning the vicissitudes of modern life, and recalling with her signature clarity and wisdom everything she hasn’t (yet) forgotten. Ephron writes about falling hard for a way of life (“Journalism: A Love Story”) and about breaking up even harder with the men in her life (“The D Word”); lists “Twenty-five Things People Have a Shocking Capacity to Be Surprised by Over and Over Again” (“There is no explaining the stock market but people try”; “You can never know the truth of anyone’s marriage, including your own”; “Cary Grant was Jewish”; “Men cheat”); reveals the alarming evolution, a decade after she wrote and directed You’ve Got Mail, of her relationship with her in-box (“The Six Stages of E-Mail”); and asks the age-old question, which came first, the chicken soup or the cold? Filled with insights and observations that instantly ring true—and could have come only from Nora Ephron—I Remember Nothing is pure joy."